Summary: Recent research by APT found 60% of banks list channel migration as a strategic priority. How can community banks most effectively migrate customers to online and mobile channels? 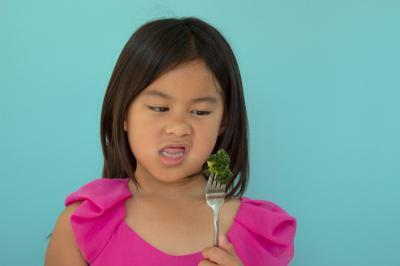 If you have ever tried feeding vegetables to kids with a dose of reverse psychology, you may or may not be surprised to hear that this age-old tactic has a scientific foundation. According to a professor of social psychology at the University of Arizona, reverse psychology is part of a phenomenon called "reactance." When people think someone is taking away their ability to make their own choices, they react against that threat and then try to reverse it. Just as a 2Y old is told they can't eat the broccoli on their plate, telling your customers that they should be moving to a different channel for banking may have a similarly opposite and undesirable effect. Instead, the best strategy is to make the desired choice as attractive as possible. The key is to take away the possibility that the person can always choose the method they've historically been most comfortable using. In fact, quite a bit of research has been done on the Dos and Don'ts of channel migration, and it is becoming more interesting as digital banking adoption is increasing. Based on a survey of financial institutions, APT research found that 60% of banks have made channel migration a strategic priority and 100% of respondents say they are focused on improving digital onboarding processes to expedite the process. However, it can be tough for bankers to get their heads around how to most effectively migrate customers to online and mobile channels, especially if their attempts to shift customer behavior happen to backfire. That can hit your reputation and make the bottom line suffer. Experts recommend that bankers first seek to understand how migration can impact a particular customer segment, depending on the type of transaction. For example, millennials who have been bred on tech may still be more likely to take out a loan if they can speak to a branch manager in person. Meanwhile, if seniors get assistance from branch staff, they may not necessarily be turned off to digital kiosks for many teller transactions. Rolling up your sleeves and asking specific questions of your customer base will help point you in the right direction for each customer. Banks then need to figure which outreach strategies and incentives work best in retaining each customer segment during migration attempts. Last year, Gallup reported that they found even among customers who prefer digital to personal banking, 38% would only consider using a bank that offers physical branches. This underscores the fact that you can and should still make an impact in your branch. Indeed, flawless service should still be maintained in each channel interaction. Banks could also help guide those customers who are more reluctant to ATMs, kiosks and other digital resources, by providing educational materials to help. You may want to even go so far as to walk customers through the process when necessary. It also takes time for staff to adapt and change to a new working environment. The more education that staff receive, the more confident they are in helping customers deal with migration. Some banks are going above and beyond by featuring a technology concierge -- a "champion of technology" - who can serve as a resource for both bank staff and customers. Even with the advancement of digital banking, you may be thinking that many of your customers aren't ready to migrate to digital yet. Still, it may not hurt to be prepared. Remember too that it may take longer for some of your customers than others. Keep in mind that Gallup's research also finds trying to support multiple channels simultaneously could in fact hurt you more than if you had fewer channels but with excellent customer service. So, no matter what is served at lunch, don't bite off more than you can chew in the name of progress. Yields hopped up 1bp with robust economic data, despite September's hurricanes. Software firm Cylance Inc. found 70% of IT decision-makers surveyed use artificial intelligence (AI) in their threat deterrence plans. A whopping 81% noted AI found threats faster than conventional human security teams. A Society of Corporate Compliance and Ethics survey finds that when it comes to board training on compliance and ethics: 42% are somewhat satisfied, 23% were not satisfied at all, 18% were very satisfied and 18% were slightly unsatisfied. The latest index on competition from the World Economic Forum finds the US is the 2nd most competitive economy in the world, trailing only Switzerland. This is the highest level in 8Ys for the US. Rounding out the top 5 are Singapore (#3), Netherlands (#4) and Germany (#5). FDIC data finds that from Q2 2016 to Q2 2017 the average LTD for financial institutions with assets <$1B climbed from 74.8% to 75.5%. A TD survey of small businesses with <$1mm in annual revenue finds 20% say rising interest rates are a challenge to their business. PwC cybersecurity research finds the biggest fears of executives surveyed of a cyberattack are: disruption to operations (40%), lost or compromised data (39%), degrading of product quality (32%), damage to physical property (29%) and harm to human life (22%). Community bankers face many difficult challenges every year, but you are not alone. Our experts stand ready to help you address a variety of issues. View options and opportunities.